GDPR training and awareness to protect data and impact assessment in European Union. 1. Strengthen the rights of individuals as well as freedoms to protect their personal data. 2. Unify the application of rules throughout the European Union that encloses protecting of personal data. The key notion of both simple and sensitive personal data has been specified. GDPR also adds definitions such as "pseudonymization", "profile training", and "limitation of processing". The definition of "controller" is laid down and determines the purpose and means of the processing of personnel. He must be able to demonstrate at any time that he is applying the GDPR. The definition of "Data Protection Officer" is set up. 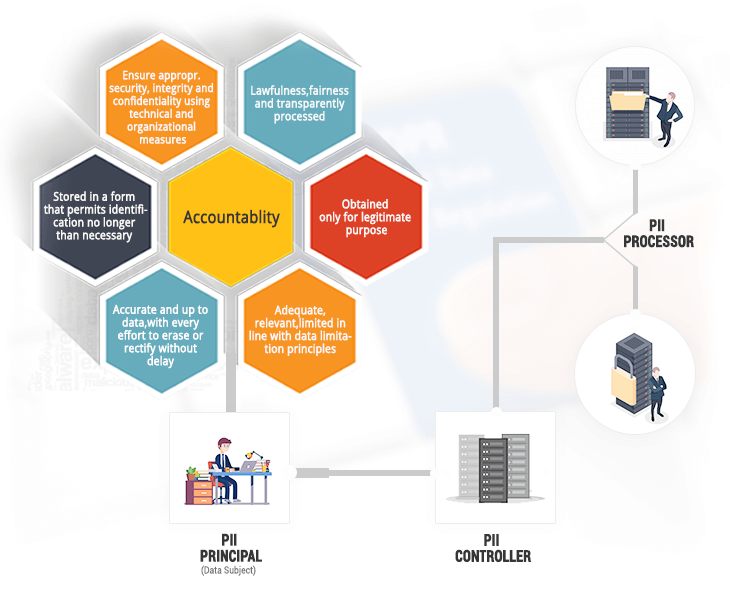 He informs and advises the controller and processor as well as the staff that processes personal data, about their obligations derived from GDPR regarding data protection. Data breaches must be reported to the supervisory authority within 72 hours to take strict and swift action. Any company that stores or processes personal information about the citizens belonging to the European Union within EU states ought to comply with the GDPR, even if they don't own a business within the EU. The company should belong to a country that is part of the European Union. There is no presence of the company in the European Union, but it processes personal information of European countries' citizens. There must be over 250 employees. If the number of employees is fewer than 250, but its data-processing includes certain types of sensitive personal data. Our team of data protection experts will guide your organisation with a wide range of best-practices, from evaluating your GDPR compliance position and developing a remediation roadmap, to implementing a best data compliance framework that fits. Whether you are a small/medium scale company or a multinational, you can seek benefits of our GDPR services to your specific needs.